Planning to buy a Toshiba laptop, notebook, or Ultrabook? 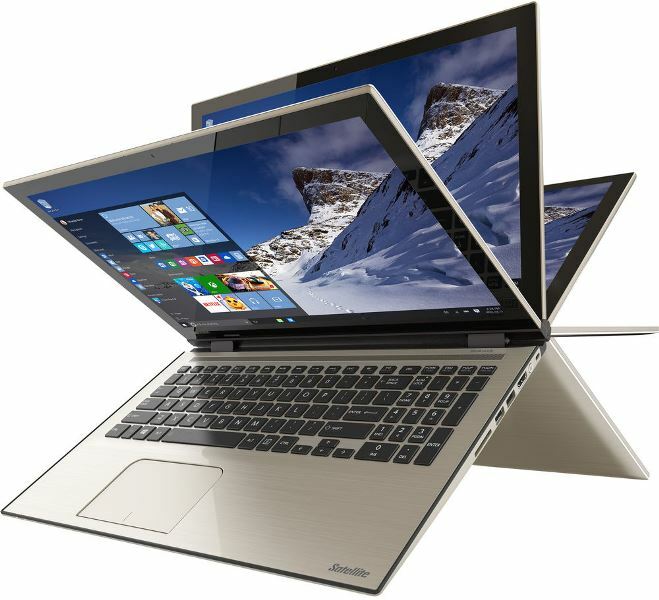 In this page you’ll find all the current available Toshiba laptop deals and coupon codes for 2015. This page is updated weekly since Toshiba releases fresh new deals and coupon codes on a weekly basis each month. Toshiba deals may include a certain amount or percentage off the price of the product with a use of a special coupon code or by following the link provided. Sometimes the deal may include free shipping and/or a freebie. Be sure to bookmark this page and come back regularly for new set of Toshiba deals and coupon codes. Holiday Daily Deal 12/12/15 – $150 OFF + EXTRA $50 Coupon on 15.6″ Stlyish Quad-Core Performance Satellite L50D-CBT2NX2 Laptops w/ Windows 10, AMD Quad-Core A8-7410, 8GB DDR 1TB HHD. Only $399.99 with free shipping. Holiday Daily Deal 12/13/15 -$400 OFF + EXTRA $100 Coupon on Elegant, Portable & Powerful KIRAbook™ w/ 13.3″ Touchscreen, Windows 10, 5th Gen. i7, 8GB Memory, 256GB Solid State Drive. Starting at $1,199.99 with free overnight shipping. Holiday Daily Deal 12/14/15- $250 OFF + EXTRA $100 Coupon on Stylish, Performance 15.6″ Satellite L50-CBT2NX3 w/ Windows 10, Intel Core i7, 12GB Memory, 1TB Hard Drive. Starting at $649.99 with free shipping. Holiday Daily Deal 12/14/15- $250 OFF + EXTRA $100 Coupon + FREE Accessory Bundle on Stylish, Performance 15.6″ Satellite L50-CBT2NX3 w/ Windows 10, Intel Core i7, 12GB Memory, 1TB Hard Drive. Starting at $649.99 with free shipping. Holiday Daily Deal 12/14/15 – $300 OFF + EXTRA $100 Coupon on 17.3″ Premium Satellite S70T-BST3NX1 Touchscreen Laptop w/ Core i7, 12GB, 1TB, Frameless Backlit Keyboard. Starting at $899.99 with free shipping. If you can’t find the product or the deal you are looking, check out Toshiba’s on going promotion here. Perhaps you will find something there that is not listed above.